Eau du Soir is the second perfume by the house of Sisley and it is feminine, elegant and eternal. Its complex and rich composition is based on perfect harmony of contrasted lines: fresh citrus, sensual flowers, warm amber and musk. The bottle, with its golden stopper (made of 18 karat gold), was designed by Polish sculptor Branislaw Kryzstof. 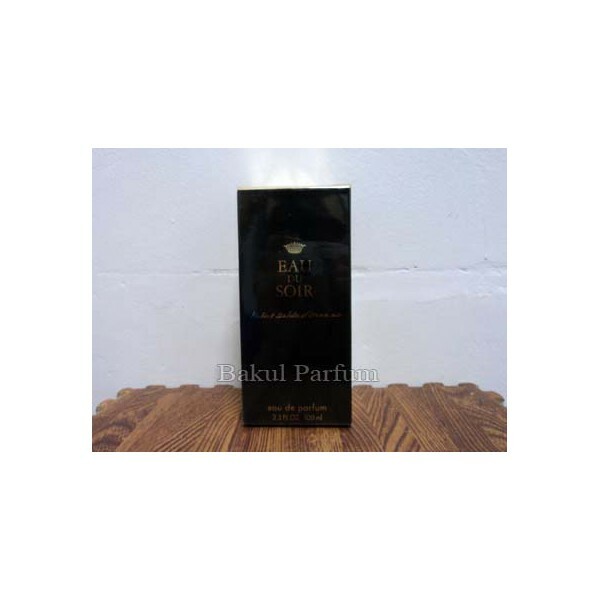 Countess Isabelle d’Ornano was given Eau de Soir as a gift by her husband, count Hubert d'Ornano in 1990. The count created a unique floral composition in the centre of which was Spanish flower seringa. radiates an intense scent through night air and attracts night butterflies to pollinate it. The perfume was created to remind countess of her childhood in Spain. The name was chosen because of night flower seringe (in French, soir means evening). For several years Eau de Soir was countess' personal perfume and it was no sooner than 1999, after her friend persuaded her, that it was released for public. The top notes are mandarin orange, grapefruit, spruce and carnation. The heart consists of seringo, jasmine, rose and lily-of-the-valley. Musk, amber and patchouli are in the base. Beli parfum original Sisley Eau Du Soir for Women sekarang, harga termurah di Indonesia!! Nikmati promo dan penawaran eklusif parfum original Sisley Eau Du Soir hanya di bakul parfum.